You know how it is. Sometimes your 6.75-litre V8 limo just isn't fast enough. 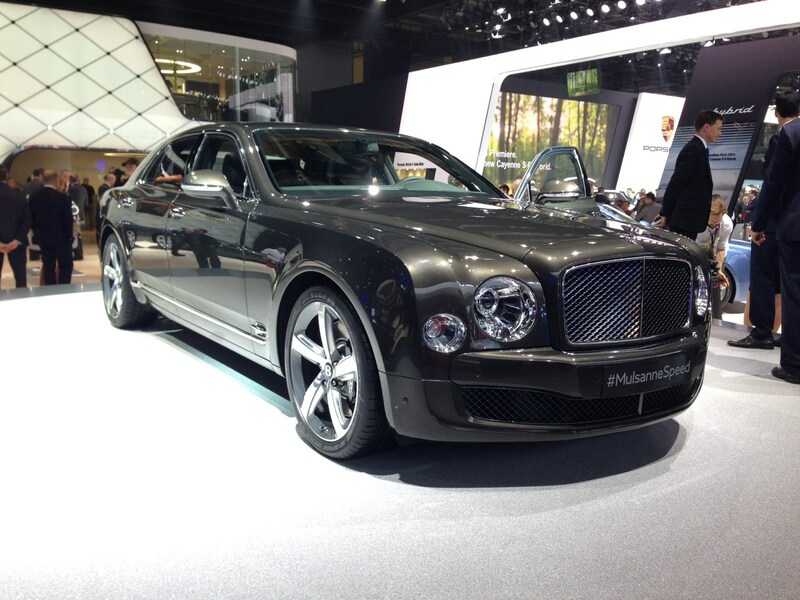 Well fret no more - here's the Bentley Mulsanne Speed. Powered by a reworked version of the Mulsanne's 'conventional' engine, the new car gets a power hike to 530bhp and frankly incredible torque of 1,100Nm. That means this absolute monster of a car (it weights 2.7 tonnes) will cover 0-62mph in 4.9 seconds and go on to a top speed of 190mph. Not only that, but it'll do it in total luxury too. The cabin does get a couple of sportier touches such as carbon fibre, but the general gist is this car remains the height of luxury. Prices start at £252,000 and if you want one, you'll have to wait until winter at the earliest for delivery. Read our full Bentley Mulsanne review here.